Let’s party like GATSBY! Join us Saturday, March 23, 2019, at The California Center for Arts Museum for our Night At The Museum Gala. A fun-filled evening with all proceeds directly supporting San Pasqual Union School. In keeping with the theme, we encourage you to dress in 1920s attire. Includes Hosted Cocktails from 6-7:30PM | Silent Auction—including Classroom Art, Baskets and Teacher Experiences | Casino Cash | Wine Opportunity Drawing | Dinner | Wine with Dinner | Live Auction | Entertainment and Dancing by MUZZii Events. Exclusive access to our Speakeasy Lounge from 5-6PM with Hosted Cocktails & Tray Passed Hors d’ Oeuvres | Hosted Cocktails All Night | Early Access to Silent Auction Items | Premium Event Seating | A Hand-Rolled Cigar | Premium Wine Service with Dinner. This year’s event will include a “Buy it Now“ option for Silent Auction items (excluding our items valued as “Priceless“). Don’t miss out—register today before the event sells out! 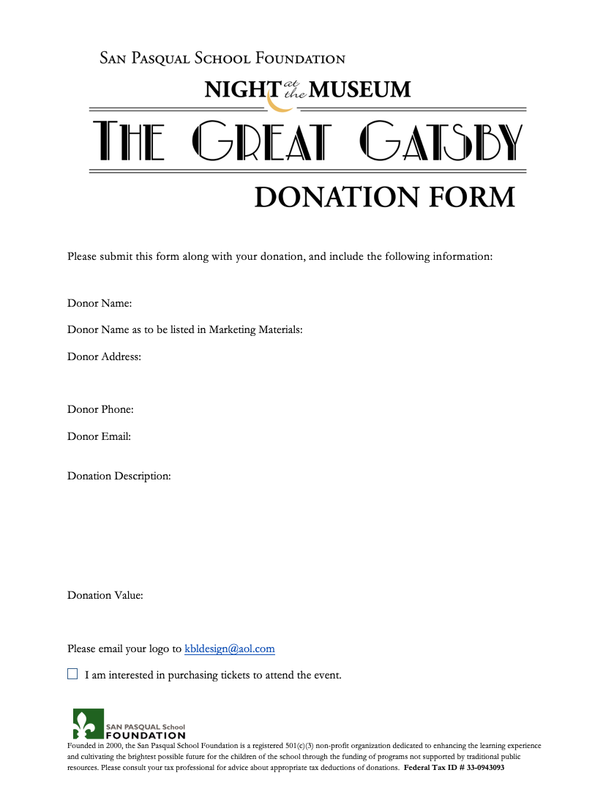 Support our fundraising efforts with a Family or Company Sponsorship! 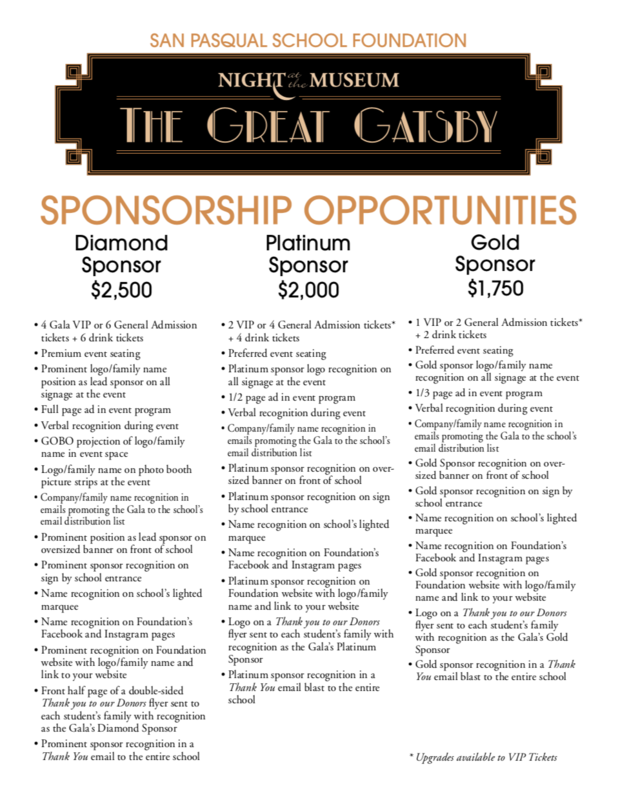 Your name and logo will be prominently displayed at the Gala*, including event signage, printed program, verbal recognition and more. *Where/how logos will be displayed are dependent on sponsorship level.